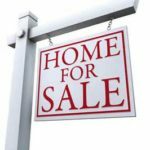 Are there easy steps to make sure your home sells quickly? Face it. You can’t count on a quick sale. We were in a seller market in some parts of the DC metro area for the last few years but now we are shifting to a market in equalibrium. In many areas, homes were snapped up before the lawn sign goes into the ground. All that is changing now. You have to be prepared for your home sale to take longer now. What steps can you take to make sure that your home sells quickly and doesn’t languish on the market without a serious taker? 1 It’s priced too high. 2 The home needs some TLC. home is listed above established market value, prospective buyers may pass. Now that we are heading into a balanced market, it is even more critical to offer your home at the right asking price. Work with a reputable real estate agent to determine the right price for your home based on area, condition and other factors. Be prepared to price your head ahead of a downward adjusting market. What your neighbor got last year for a similar home may be the high water mark for your neighborhood. Maybe you should price your home slightly under last year’s benchmark to make sure your home sells quickly. The home needs some TLC. If you expect to sell at full asking price, your home must be in peak condition. First impressions are important, so keep your lawn and entry area neat – even in the winter – and remember that buyers want the most they can get for their money. You may need to upgrade a few amenities, make some basic repairs and/or clean up that yard or patio. I know this is not one of the easy steps to make sure your home sells quickly because it is not a one and done trick. You have to keep your home in showing condition constantly and that is hard. Agents know, if it smells, it won’t sell. There’s only so much you can do with scented candles to cover up offending scents. You will likely need to eliminate the source if you expect your home to find a buyer, whether it’s pet odors, cigarette smoke or mold and mildew. Please do all of us a favor and don’t buy those dreadful plug ins that smell like some demented version of apple! Buyers like to imagine themselves living in serene surroundings, so keeping your home in showing and selling condition can be critical. At the least, it means no wet towels littering the bathroom, no unwashed dishes in the sink and no toys or other clutter everywhere. At best, have your home staged, or stage it yourself, with immaculate rooms, a cheerful kitchen and a nicely set dining room table. I know this is aslo not one of the easy steps to make sure your home sells quickly because it is not a one and done trick. You have to keep your home in showing condition constantly and that is hard. Be sure to ask me for the list of simple things to do each day to have your home in perfect condition and always ready for show time! Buyers realize they can replace aging appliances, but if everything looks like it’s on its last legs, buyers may turn away. If your water heater, heating system and appliances are not in great condition, you may need to replace them or lower your price accordingly. It is never easy to sell your home for top dollar and very quickly. In a stable market, it is even harder. You definitely want to put the effort into getting your home ready for market. Simply said, you should take these steps to make sure your home sells quickly and you will be on your way to your next home!